The leaders of Catalunya and Spain are at loggerheads after the Catalan parliament passed a law to hold an independence referendum earlier this week. After a long, tense day in the Catalan parliament, the separatist parties eventually pushed through the bill at 11.30pm on Wednesday 6 September. As the vote was called, the members of the Popular Party, the Social Party and Ciudadanos left the chamber. 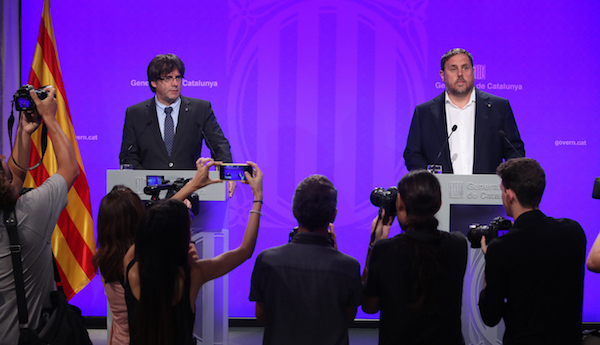 The Podemos coalition abstained and 72 members from Junts Pel Si and the CUP voted in favour of the bill. The Referendum Law states that there will be a referendum on the independence of Catalunya on Sunday 1 October. On Thursday, Spanish prime minister Mariano Rajoy, said that the referendum was illegal. “There will be no self-determination referendum,” he said. He stated that he would do “everything necessary” to defend the rule of law, national sovereignty and the peaceful coexistence of all Spaniards. The Catalan president, Carles Puigdemont, said that no-one had the power to take away Catalans’ right to decide. 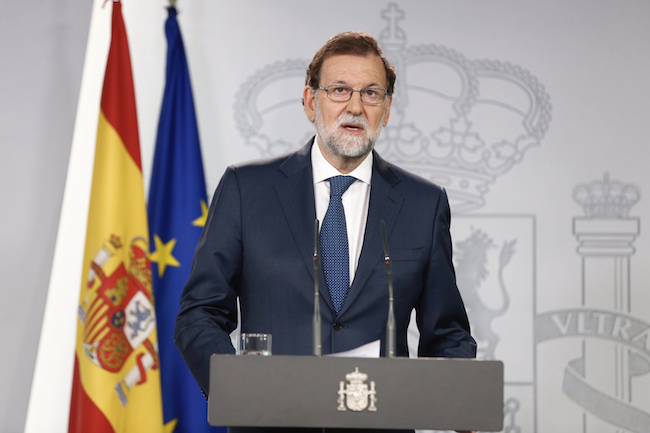 Rajoy ordered the State Attorney’s office to immediately lodge an appeal against the unconstitutional nature of the new Catalan Referendum Law. “This consultation will not take place, regardless of the intentions to impose one in a rushed, sloppy and illegal manner,” he said. In spite of Rajoy’s threats, early on Friday morning the Catalan parliament voted to pass a further bill which outlines the plans for secession from Spain. This, the ministers say, will come into effect within 48 hours if the ‘yes’ vote wins on 1 October. Spain’s constitutional court has warned more than 1,000 officials across Catalunya – including local mayors – that they face possible criminal charges if they take part in making the referendum happen. The official website of the referendum is www.referendum.cat.